350. You have doing PHP iteration the wrong way! Google can provide valuable information on how to find how your site is ranking for important keywords but the right way to do from a Web application is to use official Google Search API instead of scrapping Google search results, which is a practice blocked by Google. In the first part of this article we learned how to use the PHP Google Custom Search API package to search using the official Google API. Read this article to learn how to configure more advanced options, as well build a simple search application using this package. In the first part of the article I talked about how Google is a search expert and how its custom search API engine can provide a quality results like the you can obtain as human user. Using the PHP Google Custom Search API class and a few PHP loops and array searching you can get very good analysis information to find out where are your golden keywords hiding. 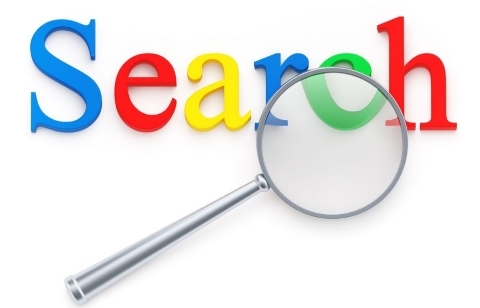 In this article I talk about some more advanced ways to search using the Google search API. Then I will show a simple application demonstrating how everything can be connected together. So let me begin. First we specify the namespace we are using to include our class. Then we will initialize the search class. This must be done for every of these examples above. In the first example we will search for the string "whole foods". In the options parameters we will provide an option called 'excludeTerms' and pass the string 'tomato'. As you can figure out, we want to get all the results that do not contain the 'tomato' keyword. That can be used to exclude terms we do not need from our search. For passing more than one keyword, we just append the others separating them with commas. Next again we will search for the terms 'whole foods', but now we will filter by the option 'rights' and give it the choice 'cc_publicdomain'. In this case we are requesting all the search results of content with a public domain license and is about whole foods. The third example also will search for 'whole foods', but now we will pass the option 'dateRestrict' and value '25.06.2011'. This one means we are collection all search results that are published exactly in 25.06.2011. This is useful if we are looking for some news published in a specific date. The fourth example concerns the language in which the results are written in. So again for 'whole foods' we use the option 'lr' for specifying language, and lets say we will use 'lang_ja' for Japanese. That is how we will look only for results in Japanese. If your site is in a specific language you can use that for testing it against competitor sites that use that language only. Let us say you are not looking for text or URL, but you are looking for an image in your site. We can set the search type. So again for 'whole foods', we set the 'searchType' option to 'image'. Finally, I showed you couple of options, but we can also combine them easily. So as you can see above, the options are provided as an array so we can expand our array and provide more than one option to take in matter at the same search. For the rest of the options here is a table that already presented in the first article. c2coff string Enables or disables Simplified and Traditional Chinese Search. cr string Restricts search results to documents originating in a particular country. cref string The URL of a linked custom search engine specification to use for this request. dateRestrict string Restricts results to URLs based on date. exactTerms string Identifies a phrase that all documents in the search results must contain. excludeTerms string Identifies a word or phrase that should not appear in any documents in the search results. fileType string Restricts results to files of a specified extension. googlehost string The local Google domain (for example, google.com, google.de, or google.fr) to use to perform the search. highRange string Specifies the ending value for a search range. imgDominantColor string Returns images of a specific dominant color. imgSize string Returns images of a specified size. imgType string Returns images of a type. lowRange string Specifies the starting value for a search range. lr string Restricts the search to documents written in a particular language (e.g., lr=lang_ja). num unsigned integer Number of search results to return. orTerms string Provides additional search terms to check for in a document, where each document in the search results must contain at least one of the additional search terms. relatedSite string Specifies that all search results should be pages that are related to the specified URL. rights string Filters based on licensing. Supported values include: cc_publicdomain, cc_attribute, cc_sharealike, cc_noncommercial, cc_nonderived, and combinations of these. safe string Search safety level. searchType string Specifies the search type: image. If unspecified, results are limited to webpages. siteSearch string Specifies all search results should be pages from a given site. siteSearchFilter string Controls whether to include or exclude results from the site named in the siteSearch parameter. sort string The sort expression to apply to the results. start unsigned integer The index of the first result to return. What is left for me to show you is how to make a small application to do the job. First we create a file named search.html on which we will put our search form. The form will request the search term, the Web site domain you want to search and the options you want to provide. Options should be entered in separated lines using commas between the option name and the value. There are better ways to request input from the user, but I will keep it simple just for sake of this article. Next I will create a script named result.php that will process the data. First I am catching the posted input values and pass them to the search class. Then I will loop through the results to find the domain we provided. Finally I display the positions in the results. The PHP Google Custom Search API is a class that allows PHP applications to perform searches using the Google search engine. This class can perform arbitrary searches on Google using their custom search API. I showed you how to make a simple app to look for your sites position for some keywords, and I showed you some examples of advanced use of this API. Now it should be easier for you to develop more complex application. This application was simplified for the sake of simplicity. The is idea was to demonstrate how you can implement applications using the information from Google searches. If you liked this article or have questions about developing applications based on the Google Search API, post a comment here.